WASHINGTON (Reuters) – Special Counsel Robert Mueller on Friday handed in a long-awaited report on his investigation into Russia’s role in the 2016 presidential election and any potential wrongdoing by U.S. President Donald Trump, setting off a clamor from lawmakers in both parties for the document’s release. 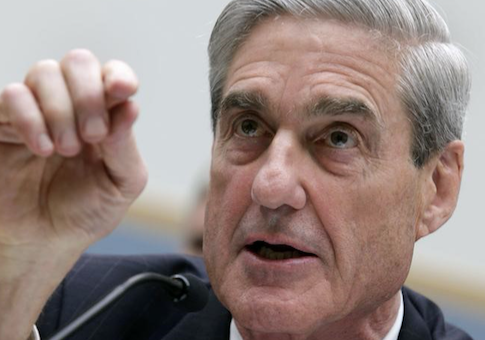 Mueller submitted the report to Attorney General William Barr, the top U.S. law enforcement official, the department said. The report was not immediately made public – Barr will have to decide how much to disclose – and it was not known if Mueller found criminal conduct by Trump or his campaign, beyond the charges already brought against several aides. The Russia investigation has cast a shadow over Trump’s presidency and ensnared key figures including his former campaign chairman Paul Manafort, national security adviser Michael Flynn and personal lawyer Michael Cohen, who already have either been convicted or pleaded guilty to charges brought by Mueller. Barr, a Trump appointee who took up his post in February, told lawmakers in a letter that he may be able to provide information to Congress on the report’s findings as soon as this weekend. Barr in his letter said he did not find any proposed actions by Mueller that were inappropriate or unwarranted. "I fully expect the Justice Department to release the special counsel’s report to this committee and to the public without delay and to the maximum extent permitted by law," said Doug Collins, the committee’s senior Republican, in a statement. House Speaker Nancy Pelosi and Senate Democratic leader Chuck Schumer – the two top Democrats in Congress – said it was "imperative" that the full report be made public and that the White House play no role in determining what is released. Under the regulations governing special counsel investigations, the attorney general must share an outline of Mueller’s report with Democratic and Republican leaders of the judiciary committees in Congress but it is largely up to him what to make public. When the Justice Department announced the arrival of Mueller’s report, Trump was at his Mar-a-Lago property in Florida. "The next steps are up to Attorney General Barr, and we look forward to the process taking its course. The White House has not received or been briefed on the Special Counsel’s report," White House spokeswoman Sarah Sanders said. Regardless of whether the report is released, Mueller’s team already has signaled the direction of the investigation through indictments and hundreds of related court filings that have offered extensive details about Russian interference in the election. Trump fired Flynn in February 2017 after it emerged that he had misled Vice President Mike Pence and the FBI about his dealings with the then-Russian ambassador to the United States, Sergey Kislyak. In May 2017, he ousted Comey, whose agency had been leading the Russia investigation. Comey’s firing led the Justice Department to appoint Mueller to take over the probe. The special counsel also indicted longtime Trump adviser Roger Stone, a Republican operative and a self-proclaimed political "dirty trickster." Stone is accused of telling members of Trump’s campaign that he knew in advance of plans by the WikiLeaks website to release emails damaging to Clinton that were stolen by Russia. This entry was posted in Politics and tagged 2016 Election, Donald Trump, Robert Mueller, Russia. Bookmark the permalink.